Microsoft sets the default web browser in Windows 10 to their own built in browser called Edge. 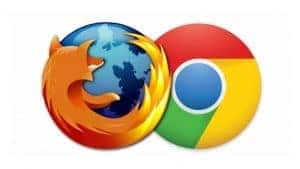 While Microsoft encourages users to adopt and use Edge as their main browser, many users prefer to use a solid, time tested browser they are familiar with such as Google Chrome or Mozilla Firefox instead. Click the start button (Windows flag) in the lower left corner, then click ‘Settings’ (looks like a gear ) in the left column. When the Settings window appears, click ‘Apps’ then ‘Default apps’ in the left column. 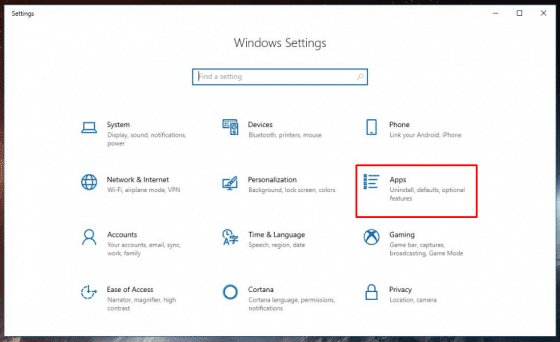 For older versions of Windows 10 you will need to click ‘System’ then ‘Default apps’. 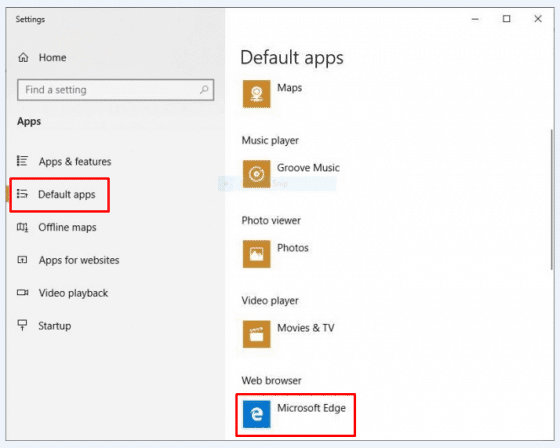 When the Default apps pane appears to the right, scroll down to ‘Web browser’ and click on Microsoft Edge. A ‘Choose an App’ window will appear, click on your preferred browser of choice to make the change. You may see a ‘Before you switch’ notification from Windows encouraging you to give Microsoft Edge a try, if so click ‘Switch anyway’ to confirm the default browser change. That’s all there is to it!